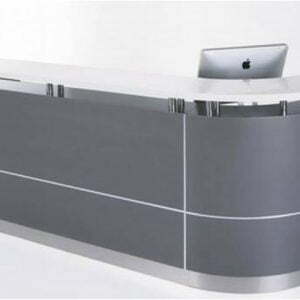 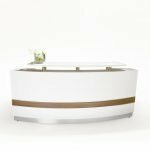 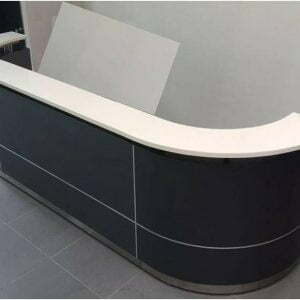 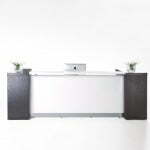 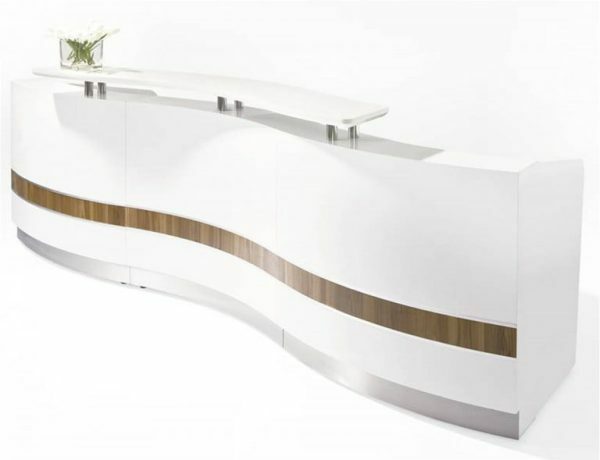 Wave design gives style and elegance to any reception area. 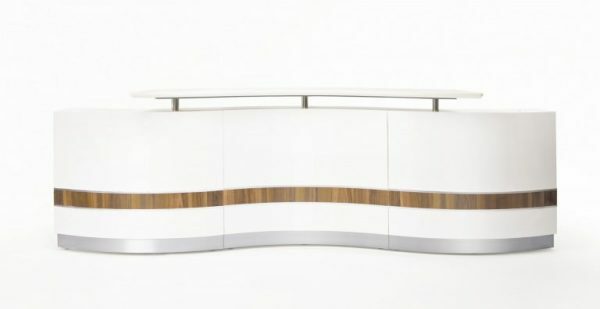 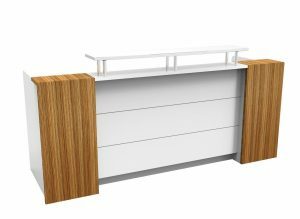 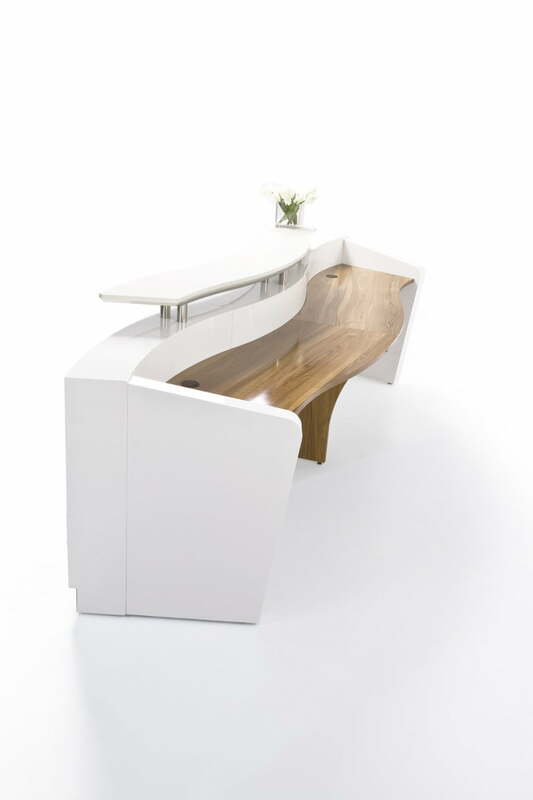 Counter body in gloss white with feature gloss teak panel and Aluminium strips. 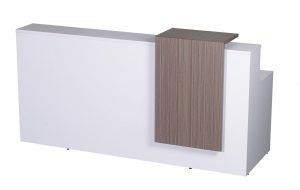 Gloss teak desktop, jade white stone hob and stainless steel kick plate.